Nankang AS-1 tyres offer a smooth and comfortable journey for every driver as well as providing a good level of traction, responsive steering and cornering stability no matter what the conditions may be. With great wet and dry running results, you can trust that Nankang tyres are reliable and durable enough to last a long time, proving them to be very valuable because of their price, longevity and overall consistent performance throughout their lifespan. Choose AS-1 tyres now for the best results on every journey. 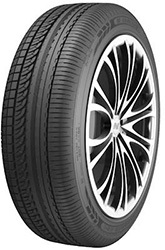 With great wet and dry running results, you can trust that Nankang tyres are reliable and durable enough to last a long time, proving them to be very valuable because of their price, longevity and overall consistent performance throughout their lifespan.Choose AS-1 tyres now for the best results on every journey.